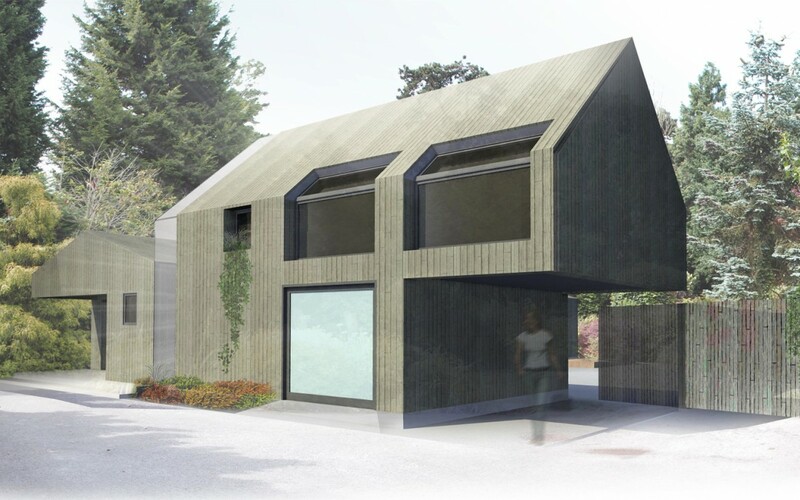 Infill:A lightweight, design that seeks to marry the existing property, using small scale extensions and intervention to create a holistic design at the end of the 'type of rural mews'. 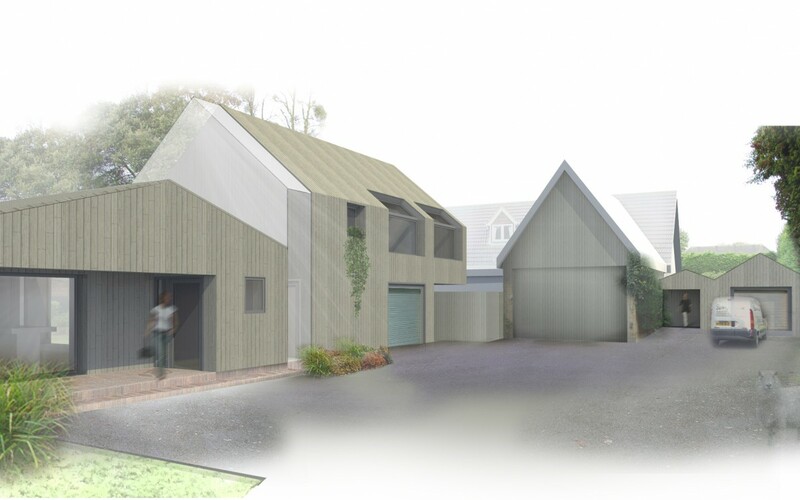 The overall design aims to blend into the surroundings and form a courtyard form at the end of the access way, with accommodation in the one and a half storey volume and services, entrance, internalised garages and the main living space at ground level. 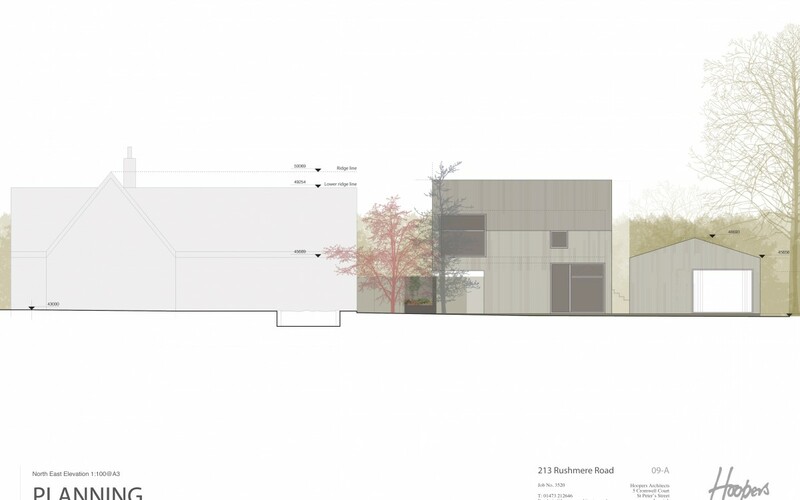 The massing of the dwelling has been carefully considered to prevent overlooking and the overshadowing of the immediate neighbours. 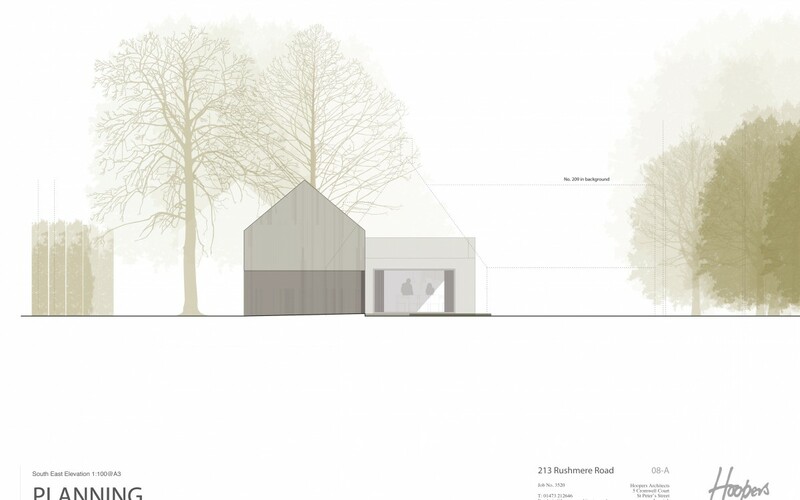 Our client is pursuing the idea of building a new plot within the bounds of their existing dwelling, in order that they can down-size from their existing property and still remain in the area they love. 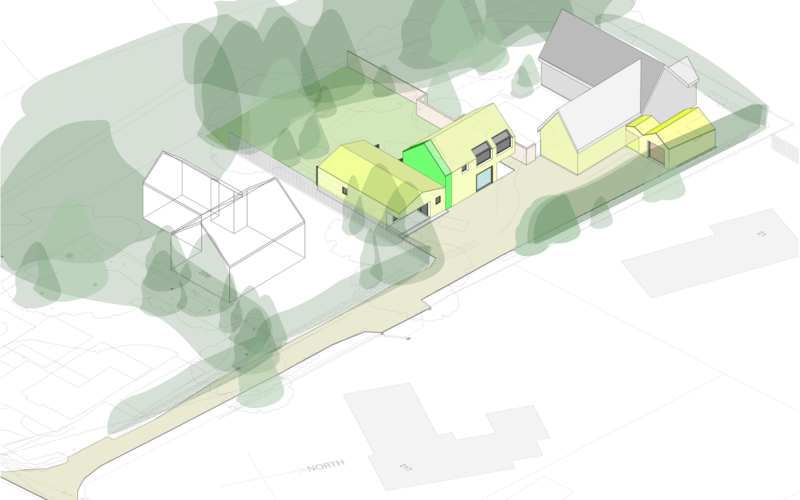 They have come to us with the challenge to obtain planning for a plot that has historically been considered for development, although as part of a brief outline planning application only. 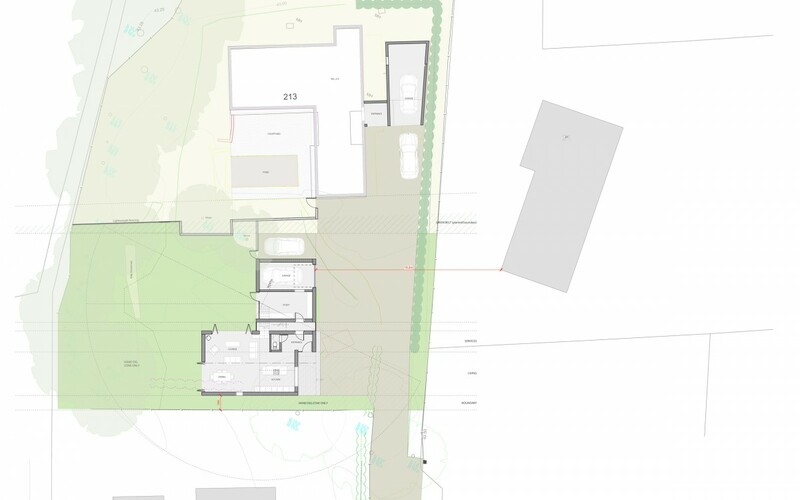 Our client, with our help following our experience within the area, has taken the time to put together a full detailed planning application, making a conscious effort to consider the constraints appertaining to the backland site and strict policies associated. 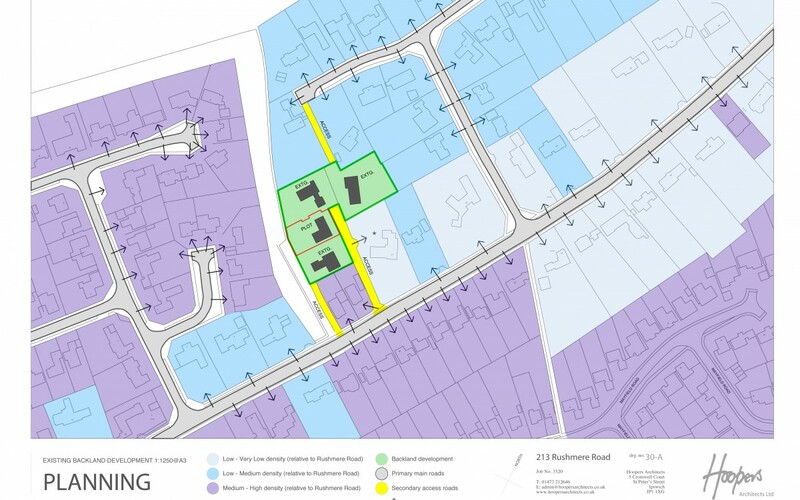 It is stated that the character of the area we are working in comprises detached dwellings on predominantly spacious plots however, on closer examination it would be prudent to point out that Rushmere Road and the surrounding areas are actually made up of a variety of densities and scales to the plot sizes (see adjacent study). 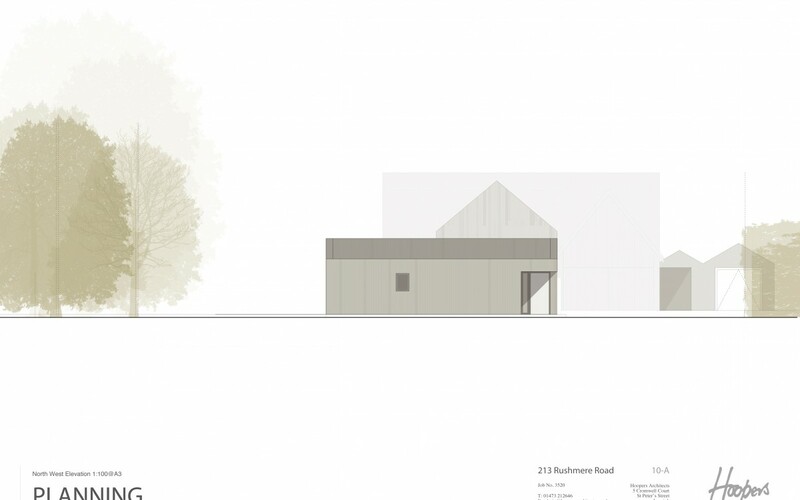 In fact it is clear from the adjacent site plan that this group of dwellings comprise a rear infill development, which could also include property 217, although it enjoys a broad frontage its main entrance and garage is very much to the rear. This development is an opportunity to provide a small dwelling, that meets the needs of today’s households, within an existing community fully utilising land resources, existing facilities, infrastructure, services and links with the town centre. 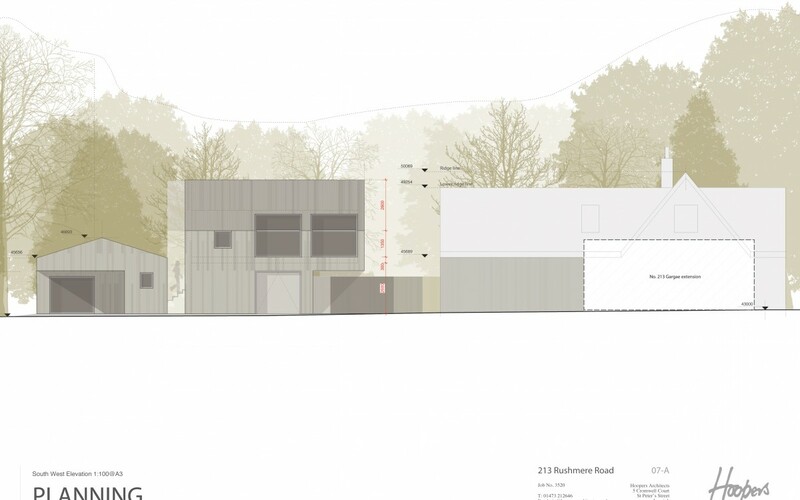 Situated in an already existing backland development site, this proposal is not indifferent from this particular area and represents a responsible approach to infill development, which has culminated in a high quality, creative scheme.